The Technical IPv6 and Advanced IPv6 courses are for technical staff who have a good understanding of IPv4 and its related protocols, and who need a solid introduction to IPv6. 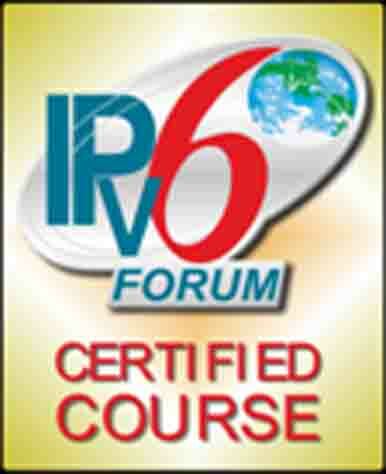 These are not vendor specific courses; the material learned underpins all work with IPv6. Both courses include most topics, with the Advanced course covering some topics in more depth, particularly security, transition technologies, routing, packet generation and inspection, address planning and migration. Attendees will be expected to have a good working knowledge of IPv4 and related protocols. The syllabus is based on the IPv6 Forum Silver and Gold course descriptions, but omits introductory networking topics such as “introduction to IP”. Additional topics, not specified by the IPv6 Forum, are also included; topics that Into6 considers essential to a good practical and theoretical understanding of IPv6. The syllabus below contains more material than can be covered in the time available. This allows some degree of on-the-fly adaption of the material to the interests and abilities of attendees. Implementing new networking software and devices to support IPv6.